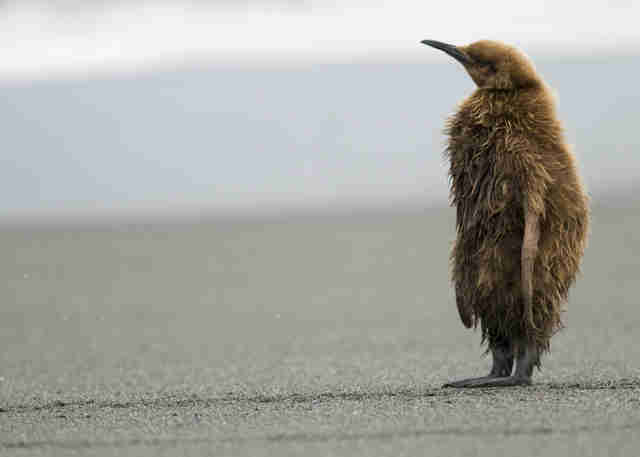 The largest colony of king penguins on Earth lives on the French territory of Ile aux Cochons, an island between the southern tip of Africa and Antarctica — and the penguins are in trouble. 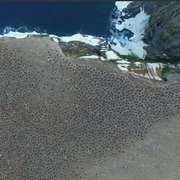 Researchers who have been studying the penguin colony since the early 1980s, analyzing aerial photographs, just released their latest findings: The colony's population has plummeted by nearly 90 percent in the past three decades. "It is completely unexpected, and particularly significant since this colony represented nearly one-third of the king penguins in the world," Henri Weimerskirch, an ecologist at the Center for Biological Studies in Chizé, France, and lead author of the study, told The Straits Times. Weimerskirch first saw the colony, which is the second largest colony of any kind of penguin in the world, in 1982, so he has literally observed the shrinking with his own eyes over the past 35 years. 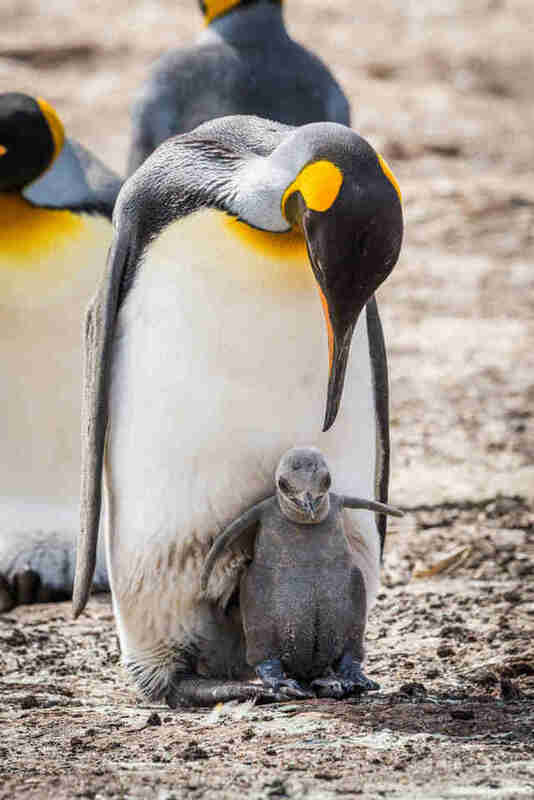 King penguins raise their chicks in pairs — parents take turns carrying the egg around nestled just above their feet until it hatches — and where there used to be 500,000 penguin couples on this island, now there are just 60,000 pairs. Not only is the decline itself worrying — the fact that the exact cause of the population drop remains a mystery adds to the anxiety about the future of this colony. Earlier this year, another study showed that worsening weather patterns, caused by human activity, could push king penguins to extinction in our lifetime. "Our work shows that almost 70 percent of king penguins — about 1.1 million breeding pairs — will have to relocate or disappear before the end of the century because of greenhouse gas emissions," Céline Le Bohec, a researcher with the French National Center for Scientific Research (CNRS) and the University of Strasbourg, told the BBC in February. It's also possible that an invasive species on Ile aux Cochons could be contributing to the decline of king penguins, but experts will have to visit the colony to know for sure. Whatever its cause, the drop is being called unprecedented and alarming, and needs further investigation, according to experts. Researchers, including Weimerskirch, hope to visit the remote island next year to figure out what's going wrong — and how this colony can be saved. 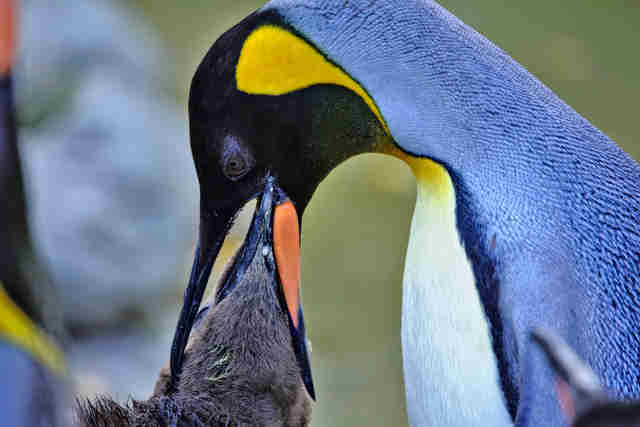 You can help protect penguins by making a donation to Bird Life International.